2007 photo by Steve Anderson. In-depth histories and exit lists for individual expressways, categorized by geographic area. Includes state and county route listings, and information on unbuilt highways. 1964 photo from Pennsylvania Department of Highways / Jeff Kitsko collection. 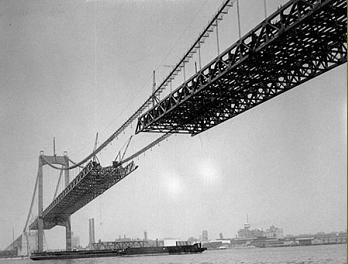 In-depth histories for individual bridges, categorized by geographic area. Includes information on unbuilt crossings. 1956 photo from Delaware River Port Authority archives, www.drpa.org. 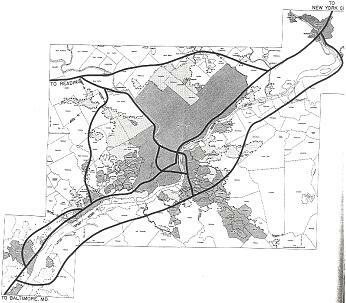 Old maps and planning studies covering the development of the Philadelphia-area arterial system. Please let me know! 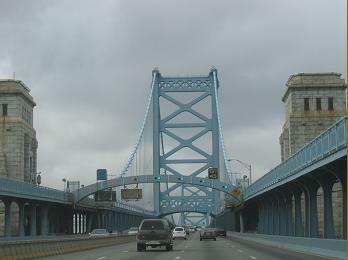 You'll get linked to PhillyRoads.com. This site is not an official site affiliated with the Pennsylvania Department of Transportation, the New Jersey Department of Transportation, the Delaware Department of Transportation, the Delaware River Port Authority, or any other government agency.